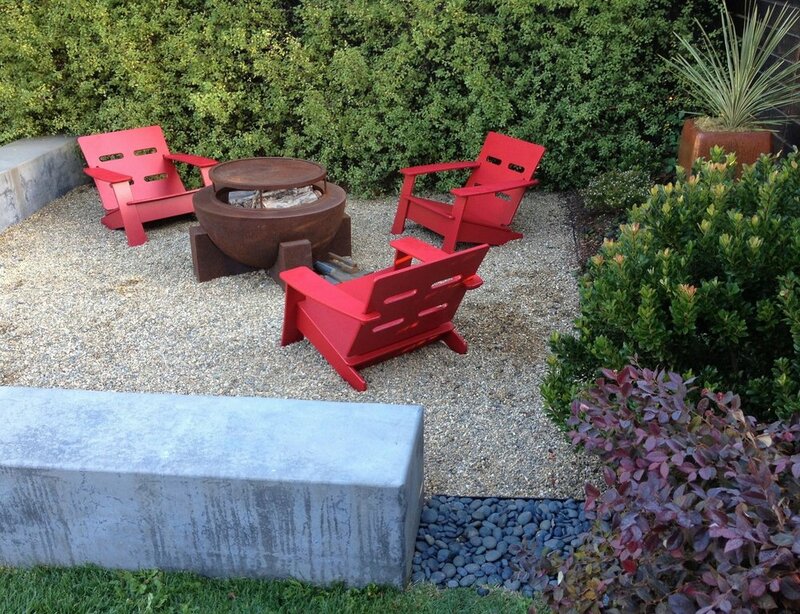 Begging for structure and visual flow, a large, open backyard was then divided into distinct garden “rooms” to invite family and friends to live the good life. 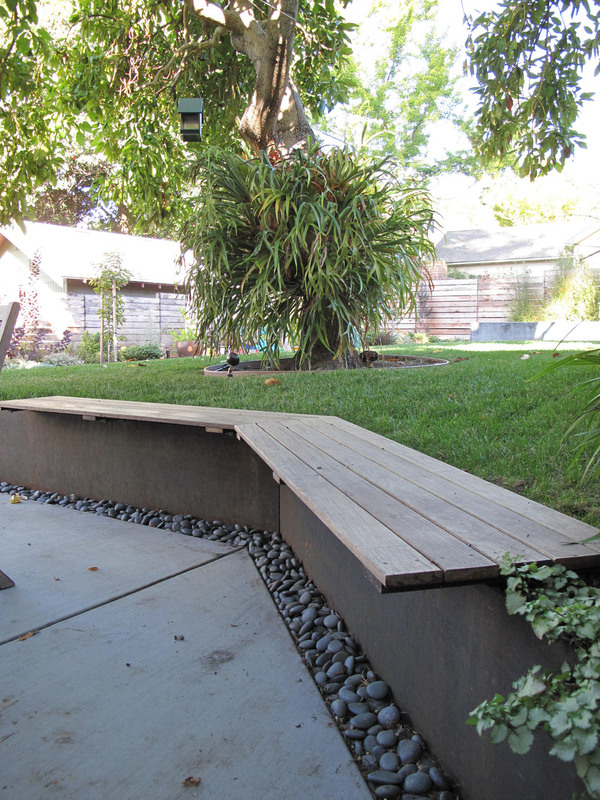 Corten steel edging separates and connects lawn, path and patio while also offering extra seating. A wonderfully crunchy pebble path guides visitors to destinations for play and relaxed entertainment. Sunny beds serve up a visual feast of easy-care Mediterranean plants in a variety of textures and colors. Fruit trees and a vegetable bed promise the excitement of homegrown. Clean lines of corten steel and a thoughtful selection of dry-climate plants are echoed up front, a prelude to the beauty beyond the garden gate.